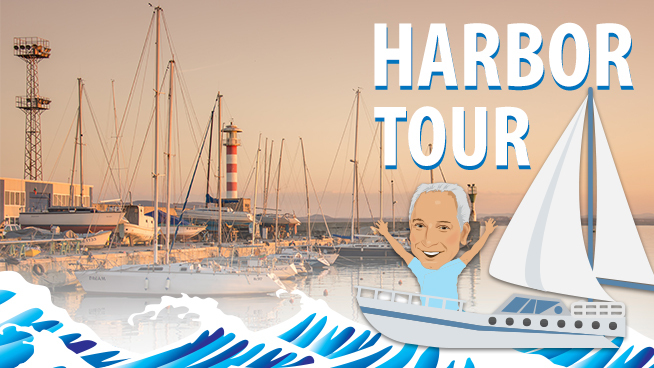 Beginning Monday, June 12, WJR’s Paul W. Smith will be taking his show on the road for the 3rd annual, Paul W. Smith Harbor Tour. Paul and, Executive Producer, Ann Thomas will be visiting five Great Lakes harbor destinations, talking with the Great Lakes leaders, informing boaters and promoting the state’s top Marinas. 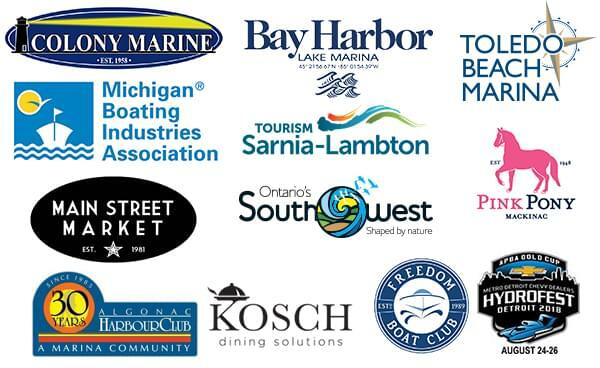 The Paul W. Smith 2018 Harbor Tour is presented by Colony Marine, and sponsored by Toledo Beach Marina, Metro Detroit Chevy Dealers’ Detroit Hydrofest, Tourism Sarnia Lambton, Ontario’s Southwest, Star Line Mackinac Island Ferry, Chippewa Hotel home of the Pink Pony, Bay Harbor Village Marina, and Michigan Boating Industry Association. Beginning Monday, June 12, WJR’s Paul W. Smith will be taking his show on the road for the 2nd annual, Paul W. Smith Harbor Tour. Paul and, Executive Producer, Ann Thomas will be visiting five Great Lakes harbor destinations, talking with the Great Lakes leaders, informing boaters and promoting the state’s top Marinas. 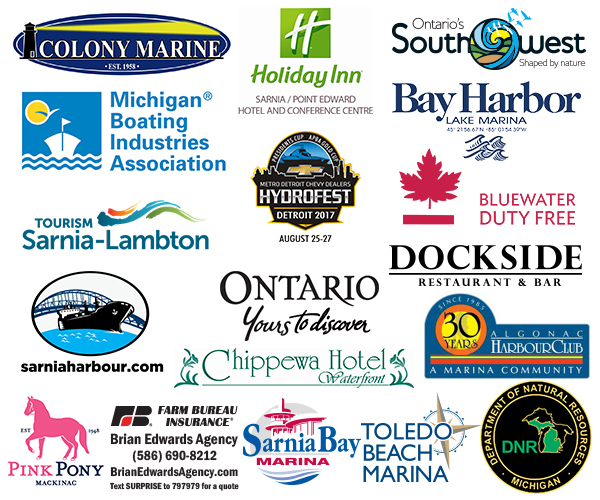 The Paul W. Smith 2017 Harbor Tour is presented by Colony Marine, and sponsored by Toledo Beach Marina, Metro Detroit Chevy Dealers’ Detroit Hydrofest , Department of Natural Resources, The Brian Edwards Agency of Farm Bureau Insurance, Tourism Sarnia Lambton, Sarnia Bay Marina, Holiday Inn Sarnia, Ontario’s Southwest, Blue Water Bridge Duty Free, Star Line Mackinac Island Ferry, Chippewa Hotel home of the Pink Pony, Bay Harbor Village Marina, and Michigan Boating Industry Association. The Tour starts at Algonac Harbor in Algonac, Michigan on Jully 11th where Paul W. Smith will be doing his show live then travelling to Detroit Boat Basin in Detroit on July 12th. Algonac Harbour Club is one of the largest deep water marinas accessible by the Great Lakes. Our marina, in Algonac Michigan, provides exactly what you’ve been looking for. Whether you’re looking for a safe harbour for an overnight stay, or seeking dockage for the season, you’ve found a second home at our marina. After the season has ended, we store your boat in our heated, secure, easily accessible and generator backed up facility. Changed the name back to the historic name of Detroit Boat Basin because we are not only under new ownership, but are so excited that Detroit is coming back and want to be a part of it! Since 1906 the basin property has seen many changes. From great great grandpa Gregory building Belle Isle Bear Cats which were fast “rum runner” style boats, to boats needed for the war effort, this location has a lot of history on the Detroit River. At one time we were Chris Crafts second largest dealer in the nation. This is our 110th year anniversary and we are excited to have survived the economic and social changes that have taken place in the city. Currently sell brokerage boats, and have a full service and parts operation as well as year round storage for boats. They hope to have a new boat line soon to provide buyers with a center console and small fishing style boats to enjoy. With a convenient fuel dock location on the Detroit River, they are lucky to be at the start /finish line for the Gold Cup Unlimited Hydorplane races that take place each summer. View Photos of the 2016 Sea Ray L590 Paul W. Smith will be traveling in.